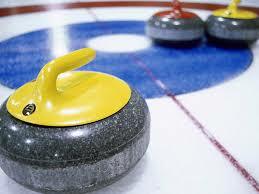 The Snow Lake Curling Club is hosting a Men's Bonspiel next month with a 1st place prize of $1000. The Bonspiel will run throughout the weekend of February 15th-17th. The entry fee is $180 per team, to register your team call Kelly at 204-358-0233, the deadline to register is February 12th. For all information regarding the Bonspiel and everything else at the Snow Lake Curling Club, visit the Pas Curling Club's facebook page. The Swan River Curling Club's Mens Bonspiel will be on March 22nd and will run throughout the weekend. The entry fee is $160 per team, for more information on the event or to register your team call the curling club at 204-734-3055.